I expect a lot of people. I’ve always known that about myself. However, I’m learning that the people I am usually the hardest on, and expect the most out of, are the ones closest to me. Particularly my husband. And then I realize how crazy that is. * He can fix anything – I can fix almost nothing! So for today, I am painfully admitting my broken ideas and expectations of my husband. And, I’m choosing to work to be a better wife. A better supporter. A better partner. Because regardless of how much work it takes to keep a marriage strong in the messiness of raising two young boys, it is worth it. It always has been. But what does it really mean to live with grace? In his book, The Grace of God, Andy Stanley walks us through scripture in a unique and very applicable way. He uses stories from both the Old and New Testaments to show us example after example of grace. He has a wonderful way of sharing these stories in a new light that make them completely relevant to modern day circumstances. Over and over again, Andy gives examples of people in the bible who did not deserve grace, but they received it. That is true for all of us. None of us deserve grace. But, we thirst for it. After life has left us with unfulfilled desires and dreams, we often face an unquenchable thirst. “God’s response to the thirsty soul is grace.” I loved that! What a great image for us to visualize. 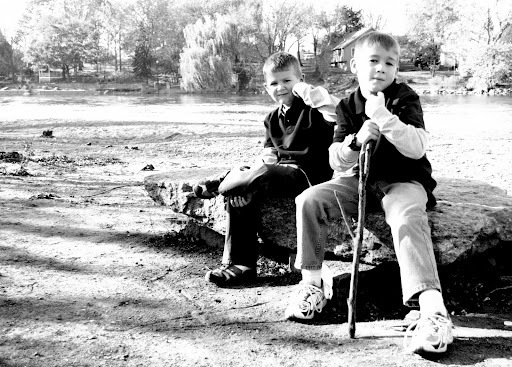 Like these two beautiful boys……. 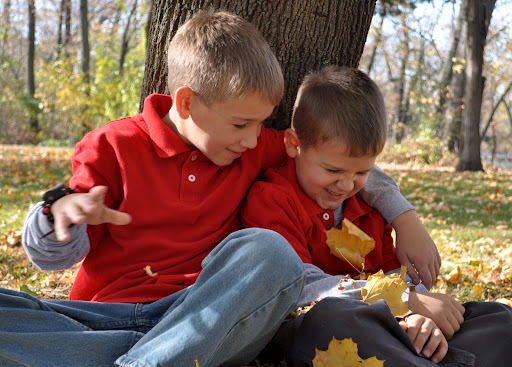 Brothers who love and fight and have fun………..
And are learning how to be themselves……..
New and life long friends…..
And so many others who have touched my life in some way….. Thank you just doesn’t seem enough sometimes….. But did you take the time to tell someone today? We often let life pass us by without telling them…..
And tell someone how much they mean to you….. I am not an idea person. I am not a dreamer. These are all things I have said in the past. Many, many times. And I am now starting to wonder when that crucial time was when I decided I WASN’T these things, instead of trying to explore and develop them. The last few years have been so interesting for me, because I have developed this community around me who no longer allows me to say those things. They no longer allow me to say that I am fine exactly where I am. They continually push me to stretch myself, and to not be satisfied with just existing. And I am so thankful for it. A big part of this definitely has to do with the changes in my faith, and how I am now viewing myself as God sees me, rather than how I see myself, or how the world sees me. And I am searching for ways to make an impact. That makes an incredible difference in my attitude, overall outlook, and decisions. But, I have also really been thinking and praying and trying to figure out what some of my lost passions are. It has been an eye opening, yet extremely frustrating experience. How could I say I’m not creative? I played the piano (and flute and tenor sax), sang, and created beautiful music, even if it was not my own. I brought the notes on the page to life. I wrote poems, and short stories. I loved to write letters and notes. I loved to scrapbook, and take photos and capture unique images. While I am not someone who continually thinks up the most unique ideas, I do have opinions and good ideas to bring to individuals, and teams and organizations. I have experience in many different unique roles and circumstances, and I have my own ideas that work pretty well. How could I continually deny that and say I’m not an idea person? Why did I stop dreaming? Where are those hidden dreams that I must have had when I was younger? What happened to them? I know they were there once. Why did I push them so far deep inside? Will they ever see the light of day again? Are there new ones to explore? I had one childhood dream that I do remember vividly. I wanted to be a funeral director. I know. Crazy, right? I think the interest started with my Grandfather’s funeral in the late ’70s. I had never seen someone in a casket before. I was young, and curious. I specifically remember reaching up for his hand, and wanting to touch him and give him a kiss one last time. I wasn’t afraid. I knew where he was. He was with Jesus, and I was happy for him. But, my Aunt slapped my hand away, as I was reaching up for him. “We don’t do that!! It’s not proper.” I was crushed. I just wanted one more moment with him, and I wanted to know if his hand felt the same. I also think that I instinctively knew from an early age that I can often be a source of comort to people. What an amazing experience it would be to be a source of calm and comfort to families facing difficult times with death. Of course, I didn’t fully comprehend all of this then, but I do think that I thought I could be helpful to people in very sad times. Unfortunately, experiencing death firsthand when my father passed away, completely scratched this dream. I was fourteen years old, and the thought of having to be around families who were hurting in a way that I now understood, was something I didn’t think I could bear. I look back on that now and wonder, “Did I really want to be a funeral director?”, “Is that a dream I should pursue?” I can honestly say that it isn’t. But what is interesting is the perspective I’ve realized around it. The part about being comforting to others. And helping others. And making a difference. That is what I’d dreamed of for a very long time. At some time, however, the dream got pushed to the bottom. And reality and responsibility and expectations for who I should become piled on top of it. And I started to believe the lie that says you can’t follow your dream. You have to be responsible, and take care of yourself and your family. Nobody is always going to be there for you, except for you. And dreams don’t come true, so why waste time chasing them? Why did I not realize there were other things I could do to evoke the same feelings? I no longer believe those lies. I am continually being challenged to take another step of faith in many areas of my life. One of the things that I am working hard on is discovering my true purpose, and how God wants to use me in a unique way. I feel that something is changing, but I don’t quite know what it is yet. I am taking one step at a time, and enjoying this very interesting time in my life. I am asking questions. Lots of questions. To people I know, and people I am just getting to know. I am reading many different books on leadership and dreams and amazing memoirs. I attended The Quitter Conference, and Story, both of which impacted me in very unique ways. Both Jon Acuff and Ben Arment spoke about your own unique story, and how nobody can tell it. This really hit me. Yes, they may have done something similar to what you are dreaming. But, they are not you. Your perspective is different. Your story matters! The world needs to hear it. So what else am I doing? I am looking forward to where this journey is taking me. What about you? What things are you working to change in your life? What is your dream? #Sexyback11 Challenge – Final Post! It’s been 12 weeks since I started the Sexyback 2011 Challenge. I had already made the decision to start eating healthier, and I thought this would be a great way to help keep me on track. My initial goal was to lose 25 pounds in the 12 weeks. However, not long after I started, I read Made to Crave by Lysa Terkeurst. It completely changed my attitude and my desire around losing weight. It was no longer about just losing weight for a one time challenge. I made the decision that this time would be different. I decided that I would learn to conquer my cravings and make healthier choices for a lifetime. Losing weight was the ultimate goal, but this time was more about changing my lifestyle, not just my size. A few weeks in to the challenge, I realized that weighing myself every week was one easy way for me to get discouraged. I was consistently working out 4-5 times per week with very intense sessions. I had joined a kettlebell studio, and it was awesome. The workouts are very difficult, and brought me back to how I felt during my athlete days. My body tends to gain muscle weight pretty quickly, so I knew that weighing myself would only frustrate me. So, I stayed off the scale for the rest of the challenge. I know this doesn’t work for everyone, but it really helps me. I knew I was making progress, though, when my clothes all started fitting better, and getting baggy. I also kept track of my inches as well as what I was eating. I was consistently making healthier eating choices, and it was not as difficult as I expected it to be. I am very happy to report my progress after the 12 weeks. Overall, it was relatively easy to get to this point. My food choices were a big change for me, as well as getting into a consistent workout routine. In addition to working out consistently, I also made very simple changes. When the kids and I would go to the park, I would no longer sit on the bench and check Facebook. I would walk around the park instead. Or, if we rode our bikes to the park, I would continue riding my bike around the park while they played. These little changes really made a big difference in conjunction with my workouts. I am very excited about the next few months, as I will continue to work towards becoming healthier prior to my 40th birthday. I am looking forward to starting a new decade as a smaller, healthier version of me. Thank you to so many of you who supported me and continue to encourage me. I appreciate it!! Last month, I had the opportunity to walk in the Susan G Komen Race for the Cure. 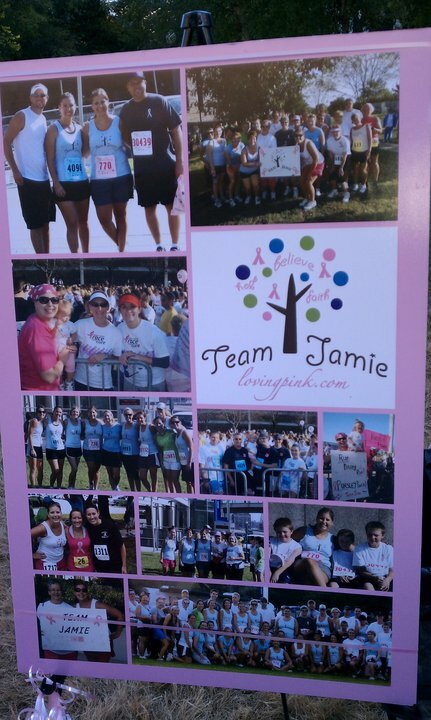 I walked with Team Jamie, in honor of my dear friend Jamie Pursley. It was an amazing experience to see 30K people come out to support such a worthy cause. This is no longer a disease that only affects some of us. Most likely, we all know someone personally who has now been affected with this awful form of cancer. It was a sea of pink. 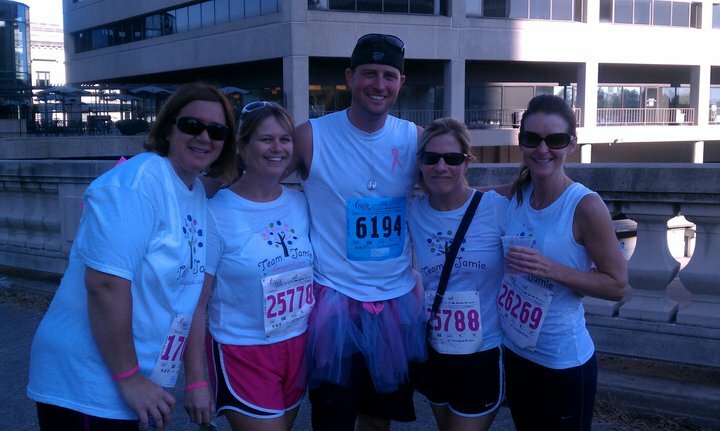 Many of Team Jamie wore pink tutus, including her husband Aaron. It was a neat experience to walk with so many survivors and supporters who have lost loved ones or are supporting those currently fighting this disease. 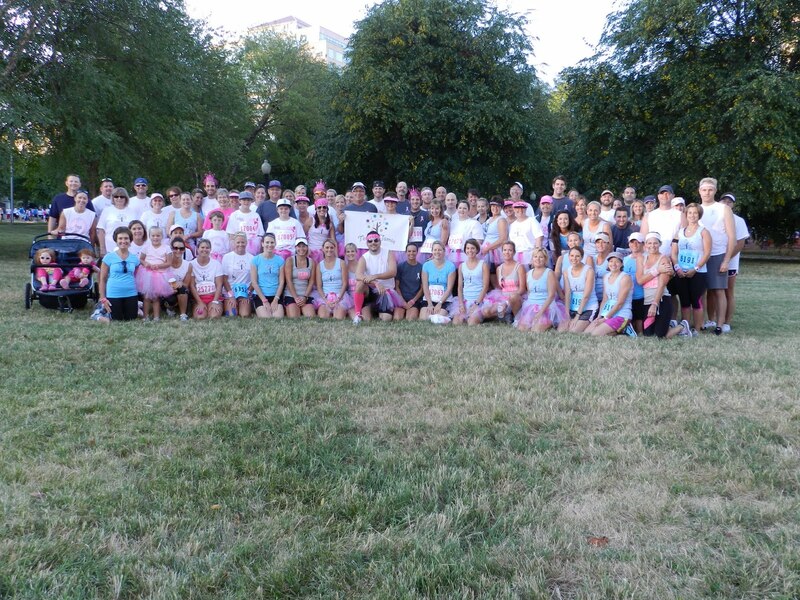 While it was hard to realize that Jamie was at this race last year, and now will never be at another race again, it was also comforting to see a team of people wanting to make sure that her brief life continues to be celebrated. We walked in honor of her, and for those that now face this disease after her. We have decided to make this race an annual event. We will walk each year to celebrate Jamie. We will also continue fighting and raising money and doing whatever we can to help those who are battling this disease. The older I get, the more I am realizing the enormous impact that fathers have on their children. These male role models can be incredibly amazing, or nonexistent. I just finished reading Jesus, My Father, the CIA, and me by Ian Morgan Cron. It is an incredible memoir of his life with an alcoholic, self-absorbed father. It always pains me to read books like this. My heart just aches knowing that there are millions of kids who live in homes where on the surface everything appears to be normal, but inside the home, kids are dying for attention and affection. My childhood was completely different. I was not exposed to the kind of heartbreak he describes in his book, and I have a hard time imagining what my life would have been like if I had. However, I did have a difficult time during my teen years, due to my father passing away when I was 14. Many of my friends and people who hear that always say what a tragedy it was, and how I was cheated. While I have certainly felt that way many, many times, I now choose to think about it differently. I was given an incredible gift. My father was a beautiful human being. He loved God, and he loved people. He was constantly doing things for people he didn’t know, helping those less fortunate, volunteering his time, and loving life. And, he loved us unconditionally. I felt it, and knew it. He was truly an example of how to show Christ’s love on earth. His example left an imprint on my heart so big, that it has actually taken me many years to fully understand all of the things I learned from him. God is helping me to understand some of this at a much deeper level now. But, that’s another conversation for another post! So this book left me feeling amazed at another beautiful story of grace,. It also helped opened my eyes to the fact that our actions as parents impact our children in ways we can never imagine. 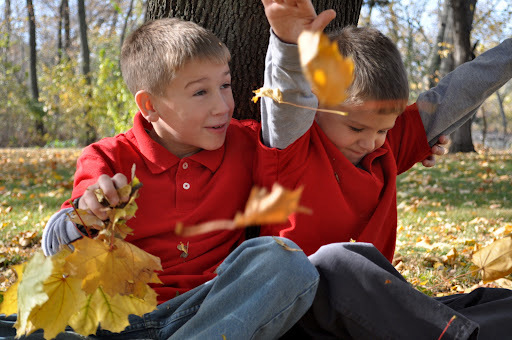 We have to continue to choose each day to empower and love our children unconditionally, in both words and actions. It’s also reminded me to be fully present and listen to kids around us. God can use us to be a positive voice and encouragement to them. Those kids that may sometimes bug us in the neighborhood. You know, the one at the pool who is a bully and mean, but deep down is craving attention. That shy girl who needs to know that someone notices her. That teenager who is having a hard time making it through the day because she doesn’t seem to fit in anywhere, and is tired of being picked on. That boy whose father tells him he is worthless. There are so many of them. We just have to take the time to notice them, listen to the clues, and then offer a smile and a word of encouragement. How did your father impact you? How are you offering encouragement to others?